Members of the New York City Police Department attend their police academy graduation ceremony on March 30th, 2017, in New York City. To become a police officer in the United States, one almost always has to enroll in an academy for some basic training. The typical academy session lasts 25 weeks, but state governments—which oversee police academies for local and state law enforcement officers—have wide latitude when it comes to choosing the subjects that will be taught in the classrooms. How to properly identify and investigate hate crimes does not seem terribly high on the list of priorities, according to a ProPublica review. Only 12 states, for example, have statutes requiring that academies provide instruction on hate crimes. In at least seven others—Alaska, Georgia, Idaho, Nevada, Missouri, South Dakota, and Texas—recruits aren&apos;t required to learn about hate crimes at all, according to law enforcement officials. Even states that provide new recruits with at least some education on hate crimes often provide training that is cursory at best. Officials overseeing police training in three states—Wisconsin, North Carolina, and Washington—told ProPublica that their recruits spent about 30 minutes of class time on the subject. 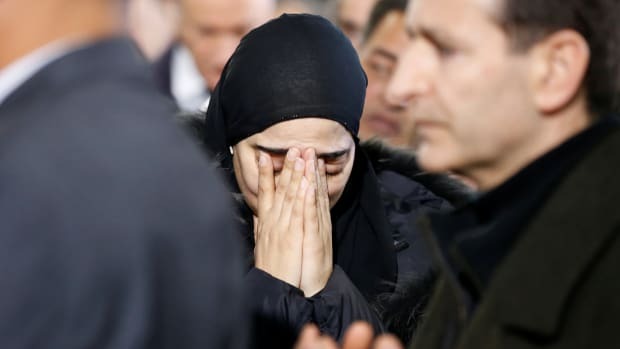 Hate crimes in America have made no shortage of headlines over the last year as the country has once more confronted its raw and often violent racial, religious, and political divisions. 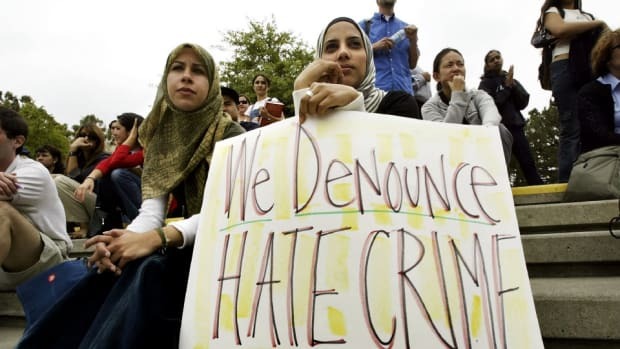 Just how few hate crimes get formally reported and analyzed has shocked many. Fewer still get successfully prosecuted, a fact that has provoked frustration among some elected officials and law enforcement agencies. But the widespread lack of training for frontline officers in how to handle potential hate crimes, if no great surprise, might actually be the criminal justice system&apos;s most basic failing. There is, after all, little way to either accurately tabulate or aggressively prosecute hate crimes if the officers in the street don&apos;t know how to identify and investigate them. Hate crimes are not, by and large, simple to deal with. Different states identify different categories of people to be protected under their laws. And the authorities must prove not only guilt, but intent. It isn&apos;t enough to find fingerprints on a weapon. The authorities must explore a suspect&apos;s state of mind, and then find ways of corroborating it. "Hate crimes are so nuanced and the laws can be so complex. 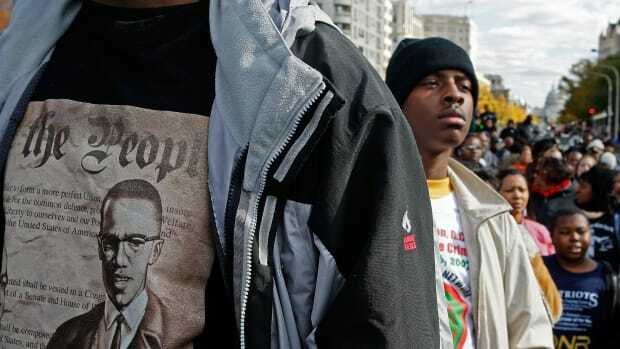 You&apos;re trying to deal with the motivation of a crime," said Liebe Geft, director of the Museum of Tolerance in Los Angeles, which has for years provided training to officers as expert consultants. "Thirty minutes in the academy is not enough," Geft said. 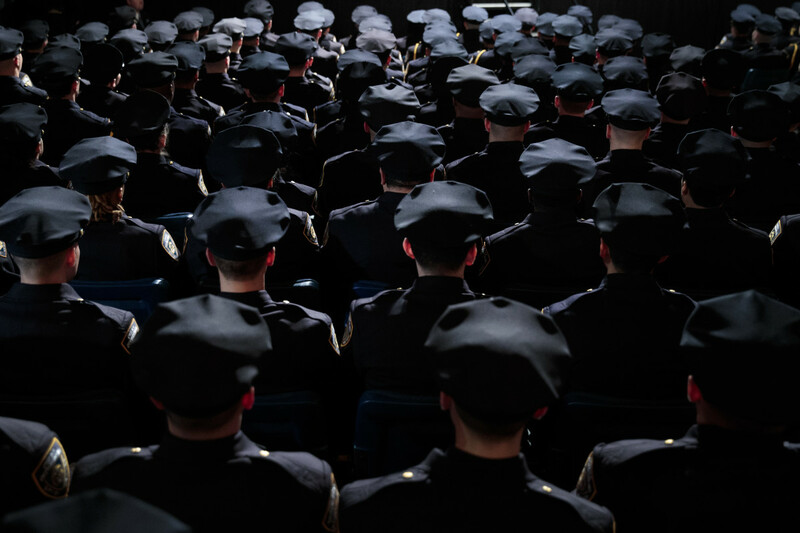 Though each state operates its police academies differently, most of them rely on a training council or commission to oversee the institutions, shape the curriculum, and set minimum standards for graduation. ProPublica spent weeks trying to answer the question of how, if at all, police departments prepare their officers to respond to possible hate crimes, which are known as bias crimes in some jurisdictions. We interviewed key officials in 45 states and the District of Columbia about the lessons being taught to new recruits during their police academy classes. We reviewed thousands of pages of training material—curricula, detailed lesson plans, legal guidance, PowerPoint presentations, and videos. We studied the statutes and regulations governing police training around the nation and interviewed experts who have spent years educating officers and federal agents. Several states declined to discuss their instructional practices, or provide ProPublica with any training materials. A key federal training program was scuttled during the early days of the Obama administration as police leaders concerned about violence colored by race, religion, and politics shifted their focus toward Islamic extremists and terrorism. That program, which was run by an arm of the Department of Homeland Security, sent experts around the country to teach local and state police officers how to respond to hate crimes. State leaders at times displayed a lack of even basic knowledge about hate crimes. In Alaska, the state Department of Public Safety told ProPublica that officers in that state don&apos;t learn about hate crimes during their time in the academy because Alaska doesn&apos;t have a hate crimes law. In fact, Alaska&apos;s hate crimes statute has been on the books since 1996. Training materials used in Kansas explain the history behind the federal hate crimes law, but make no mention of Kansas Statute 21-6815—the state&apos;s hate crimes code—which is likely to be of more use to a local officer in Topeka or Wichita. Some states that require hate crimes training often combine the instruction with what has long been called cultural sensitivity training. Such instruction typically involves material on the subtleties of dealing with specific ethnic or religious communities. Our review, however, showed some of those materials to be either hopelessly out of date or downright inflammatory. Law enforcement leaders point to several factors to explain, if not justify, the lack of emphasis on training for hate crimes. While the offenses can be dramatic and highly disturbing—like the incident earlier this year in which a white supremacist impaled an African-American man with an 18-inch sword in New York&apos;s Times Square—they represent a very small percentage of the nation&apos;s overall crime. 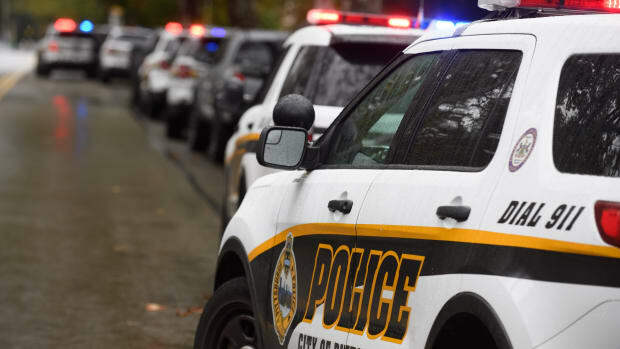 Working with often limited budgets, police officials have to make difficult decisions about what to prioritize during training, and hate crimes can lose out. That said, the events of the last 18 months, driven in great part by the racially charged presidential campaign of 2016, seem to suggest an adjustment of priorities might be in order. The number of Americans reporting hate crimes to the authorities has grown in recent years, with Federal Bureau of Investigation figures showing an increase of nearly 5 percent in 2016 alone, a tally that included more than 2,000 physical attacks and beatings. More recent data shows double-digit hate crime spikes in several major cities. Melissa Garlick, the northeast area civil rights counsel at the Anti-Defamation League, would like to see every state pass legislation requiring hate crimes training. "We want law enforcement to have the tools they need to properly investigate hate crimes," she said. Hate crimes laws are not new. The earliest legislation was adopted by a pair of states in the Pacific Northwest—Oregon and Washington—in 1981 and, since then, 43 states and the District of Columbia have passed their own hate crimes bills. In 2009, President Barack Obama signed into law a federal hate crimes bill named after murder victims James Byrd and Matthew Shepard. The FBI, for its part, has asked local and state law enforcement agencies to track hate crimes since 1990. Yet today, nearly four decades after the first hate crimes law was passed, police officers in much of the country get little or no training on how the laws work, or what to look for when responding to a potential hate crime. At the police academy in Huntsville, Alabama, instructors dedicate two weeks to educating recruits about the state&apos;s penal code. Captain Dewayne McCarver, who heads the academy, said he isn&apos;t sure precisely how much time his staff spends discussing the Alabama hate crime law during those 10 days of legal instruction. In an interview, McCarver questioned whether the school needed to devote more than an hour, at most, to the subject. The law, which dates to 1993, is similar to others across the country and focuses on individuals whose crimes are motivated by their victim&apos;s "race, color, religion, national origin, ethnicity, or physical or mental disability." It acts as a "sentence enhancement," adding time behind bars in cases ranging from property destruction to murder. In class, McCarver said, instructors caution students to be "very careful" in classifying offenses as possible hate crimes when writing up incident reports. He worries that logging incidents as potential hate crimes can cause trouble for officers when they testify in court: an aggressive defense attorney might challenge the officer&apos;s decision to label the offense as a hate crime, particularly if prosecutors don&apos;t wind up charging it as such. He told ProPublica that officers in Huntsville "rarely, if ever" designate offenses as hate crimes. "It&apos;s really a box that I personally wish they didn&apos;t put on a case report," he said. In fact, according to FBI records, the Huntsville Police Department has never reported a bias-motivated crime to the federal government. Brian Levin, a former New York City police officer, takes issue with McCarver&apos;s approach. "We should always train law enforcement to tag it as a possible hate crime at the time of report, as long the evidence is there," said Levin, director of the Center for the Study of Hate and Extremism at California State University–San Bernardino. "We need accurate data, so communities can be aware of the extent of the problem and the characteristics of the offenses." 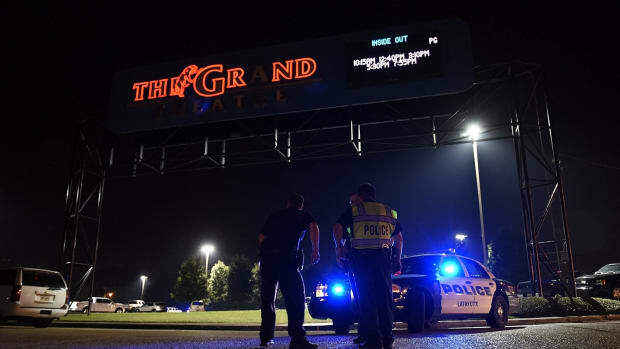 Last year, the entire state of Alabama reported only 14 hate crimes to the FBI, a figure criminologists believe is inaccurate and represents a small sliver of the true number of hate crimes. Once on the force, McCarver said, Huntsville officers get 40 hours of additional training each year. That added instruction, however, does not include hate crimes, he said. "We have a limited amount of time," McCarver said. "We have not had a reason to put hate crimes into the curriculum other than what we learn in the basic class." Huntsville isn&apos;t unique: Across the border in Florida, two of that state&apos;s largest law enforcement agencies, the Jacksonville Sheriff&apos;s Office and the Miami-Dade Police Department, also do not refresh cops on hate crimes after their initial instruction. Boe Turner is chief of training for Nevada&apos;s Commission on Peace Officer Standards and Training, the body that oversees academies in that state. Turner thinks officers shouldn&apos;t go looking into the motivation of suspected offenders. That&apos;s the job of prosecutors, he said. Victims, he added, tend to have little insight into the motivations of their assailants. Experts disagree. Victims, they say, are critical sources of information, particularly in hate crime cases. Because the cases are difficult to prove—prosecutors must show conclusively that the offender was motivated by bigotry or bias—it&apos;s crucial for police to gather as much evidence as possible, they argue, and victims often understand the circumstances surrounding a crime better than anyone. "Training for law enforcement officials on identifying and investigating hate crimes is critical," said Becky Monroe, a former federal prosecutor who now works for the Lawyers&apos; Committee for Civil Rights Under Law. Decent training, she added, can prepare officers for a pair of intertwined tasks: gathering the right evidence and calming the fears of community members who may feel frightened and vulnerable in the aftermath of an attack. To better equip officers for such investigations, some state academies have developed thorough and detailed lessons on hate crimes. Instructors at the Iowa Law Enforcement Academy, for instance, work from a 61-page handbook, which ProPublica obtained. The manual profiles local white supremacist leaders and extremist groups, examines recent criminal cases and offers practical guidance for investigators. But not all training guides are so impressive. A six-page handout used in Arizona lists a host of white supremacist groups that have completely disbanded or faded from relevancy, but fails to mention the Hammerskins or Vinlanders, two Nazi skinhead gangs that have murdered people in the state in recent years. In Wisconsin, trainers fold hate crimes training into broader courses about cultural sensitivity and biased policing. The material includes some dubious racial generalizations. "African Americans may distrust the motives or honesty of a speaker who is carefully neutral, objective, and unemotional," one section of the guide states. "By contrast, European Americans may see someone who is speaking with a great deal of emotion as irrational." The federal government, for its part, has mounted several different training initiatives over the years, some more successful than others. 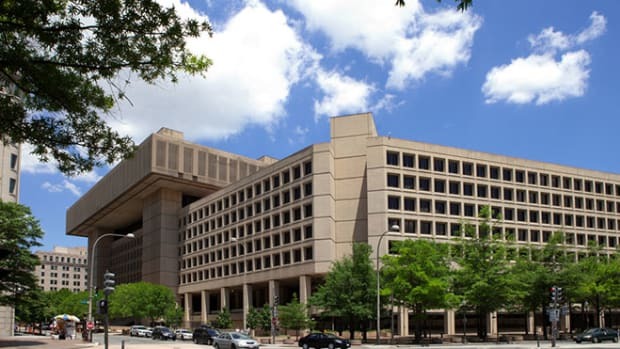 Since the 1990s, the FBI’s Criminal Justice Information Services branch has run training programs aimed at teaching law enforcement agencies how to collect hate crimes statistics and submit that data to the FBI; today, however, around 12 percent of those agencies still don&apos;t gather the information at all and many more fail to give the bureau reliable data. After the federal Shepard-Byrd Act passed in 2009, Cynthia Deitle, while serving as head of the FBI&apos;s civil rights unit, began organizing hate crimes conferences for state and local officers, educational events that explained the mechanics of the various state laws and laid out the ways the FBI could assist with local hate crime cases. She remembers stressing to local officers the importance of gathering every possible clue, no matter how insignificant it might seem. Unfortunately, many of the events weren&apos;t well attended, pulling in maybe 20 to 50 police officers apiece. "We could not force a police officer to come to our training," said Deitle, who is now an executive at the Matthew Shepard Foundation, an advocacy group, adding that she understood the challenges faced by smaller agencies—many simply couldn&apos;t take officers off the street for extra schooling. While Deitle was trying to launch a new training effort, another federal program was coming to end. For more than a decade, the Federal Law Enforcement Training Centers ran a program called "Train-the-Trainer" that routinely sent hate crimes specialists around the country to work with state and local cops. The idea was to educate police trainers and command staff about hate crimes so they could return to their departments and teach new recruits and frontline officers. "It was a great program," recalled Levin, the director of the extremism center in California who was one of the instructors. "I did stuff on everything from the hate groups to legal issues such as Supreme Court cases." Levin said he volunteered his time out of a sense of mission and worked alongside experts from the Southern Poverty Law Center and the ADL, as well as law enforcement figures. But interest in the issue eventually waned. Several people familiar with the effort say it came to a halt in the early days of the Obama administration, in 2009, at a time when police departments were shifting their attention toward combatting acts of terrorism. "Departments really wanted to focus on terrorism rather than hate crimes," Levin said. At FLETC, Communications Officer Christa Thompson wasn’t sure why the program shut down, but she did know what kind of courses the agency—which teaches local, state, federal, and tribal law enforcement—is holding these days: Internet investigations, active shooter response, marksmanship, and more. She said, "We do not currently offer hate crimes training" on a regular basis. This post originally appeared on ProPublica as "Hate Crime Training for Police Is Often Inadequate, Sometimes Non-Existent" and is republished here under a Creative Commons license.